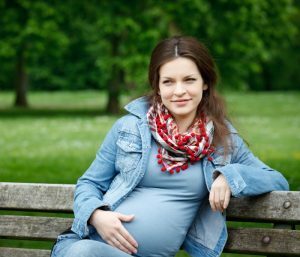 Early monitoring and on-going care during pregnancy is linked with more favorable birth outcomes. With our obstetric services before and during pregnancy, you’ll meet with your doctor to maintain your physical and mental well-being, prevent pre-term delivery, anticipate difficulties and complications at delivery, and assist you (and your partner) in preparation for parenting. If you are older than 35 or your pregnancy is high risk, you’ll probably see your doctor more often. While most women in their late 30s and early 40s have healthy babies, risks do go up for women in their late 30s and early 40s. Do a complete physical exam, including a pelvic exam and Pap test. At the first visit, plan to spend at least an hour, and you should ask questions and discuss any issues related to your pregnancy. Find out all you can about how to stay healthy. If this is not your first pregnancy, and you had problems in a previous pregnancy, it’s important that you discuss with your doctor whether any special precautions should be taken. Monthly Prenatal Visits: Going forward, prenatal visits will most likely be shorter. Your doctor will check on your health and make sure the baby is growing as expected. Most prenatal visits will include measuring your weight, checking your blood pressure, and checking the baby’s heart rate. Full-term Visits: Around 36-38 weeks, your doctor will work with you to anticipate any problems. The doctor will check for the position of the baby to see if a C-section is necessary. With the increasing number of planned home births, you will also finalize the place for the delivery. This is also a good time to finalize the discussions on planned contraception after delivery.